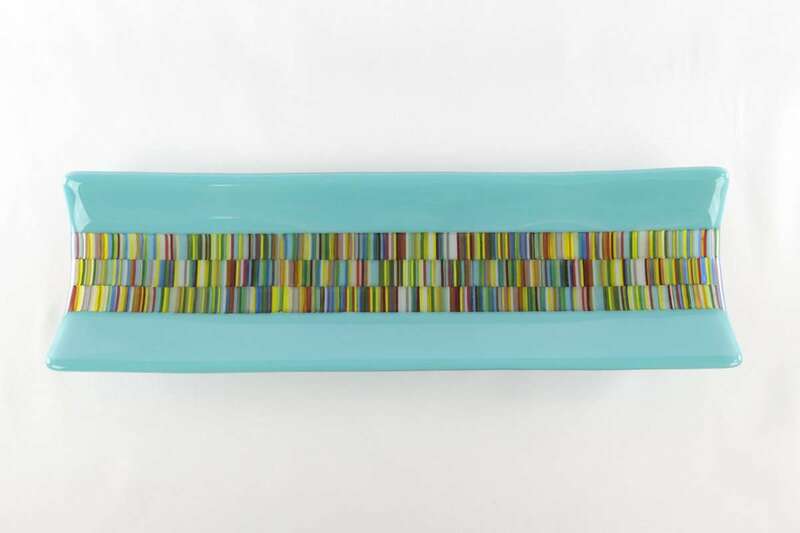 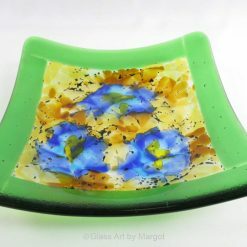 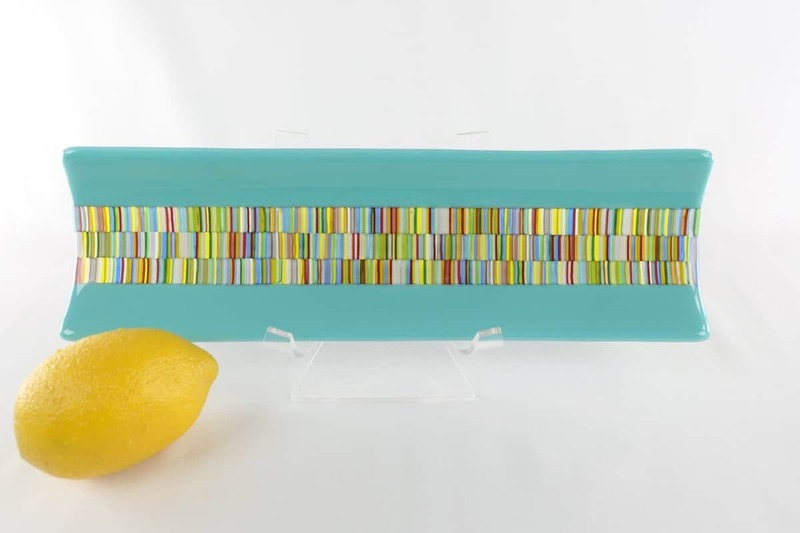 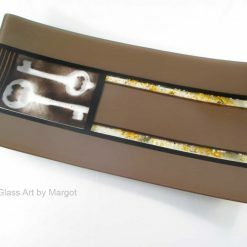 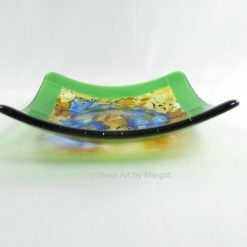 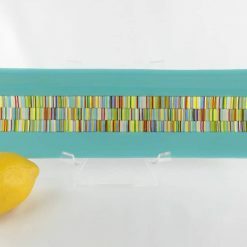 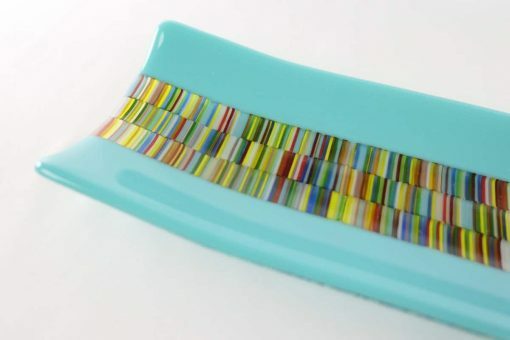 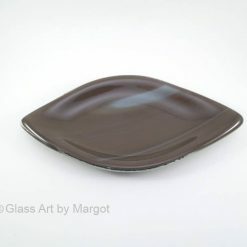 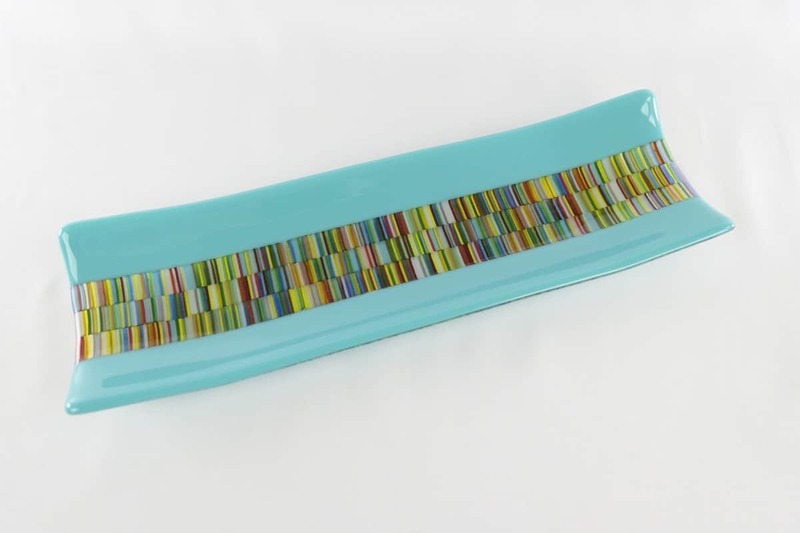 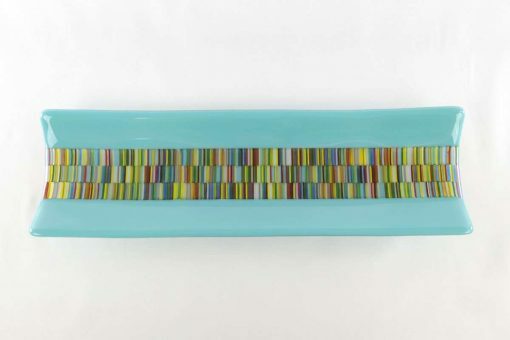 One of a kind fused glass tapestry tray. 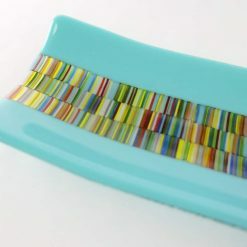 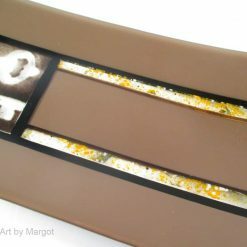 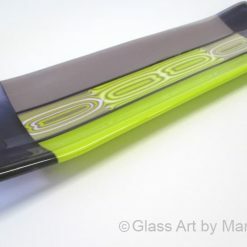 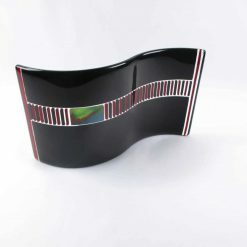 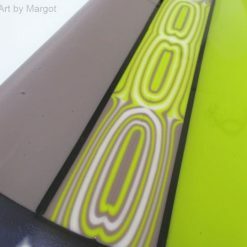 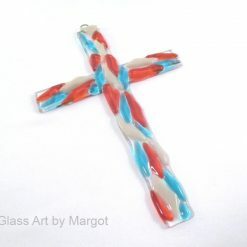 To create this piece, I use thin spaghetti like pieces of glass which I fire in the kiln to create a colorful sheet of glass. 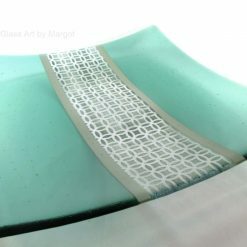 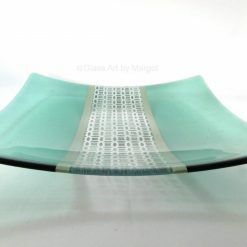 After cutting this new sheet of glass into thin strips I combined it with a sold turquoise glass and fired it again. 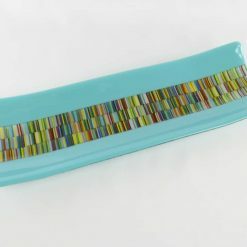 In the third firing the piece is shaped into a curved channel plate. 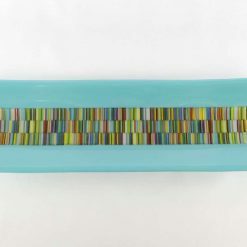 The result is a unique one of kind glass art piece. 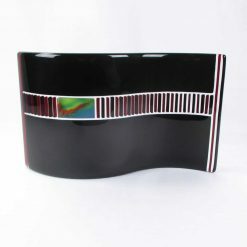 This piece will work well in any style décor adding an eyecatching pop of color. 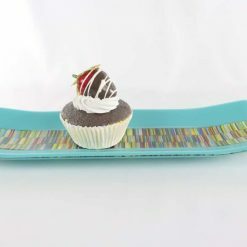 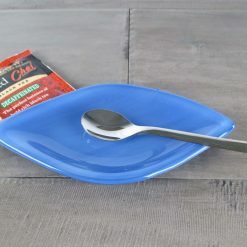 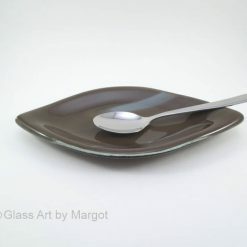 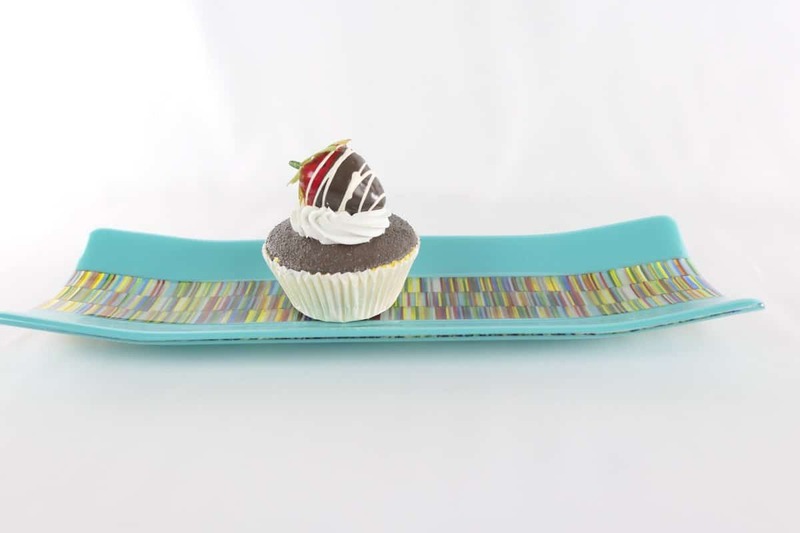 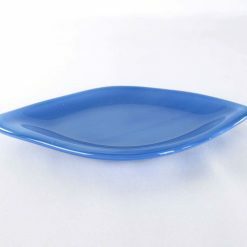 This is a functional piece that can be used as a serving dish.